Residents have recently commented to me about the new footpath being constructed round the building site at the old Homebase in Riverside Drive, where flats are to be constructed. 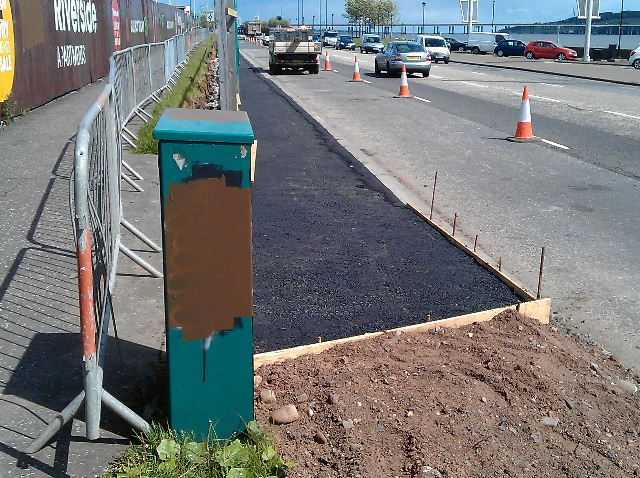 It is correctly being built at the ‘road’ side to avoid the public safety concerns about the old claustrophobic pathway that previously ran at the ‘railway’ side, but residents have raised concerns that the new footpath at the road side is both narrow and has been built right against the (extremely busy) road edge. There is already a little bit of existing footpath at the road edge just past (east) the entrance to Tesco but it is wider and very short. I have asked the City Council to confirm if this is to be the permanent footpath? I have echoed to the City Council the views of local residents who feel that, from a safety perspective, it would be much better if this pavement was back off the road a bit. 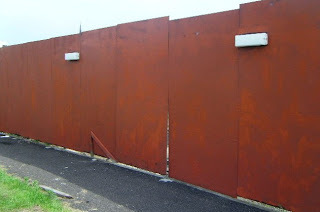 I recently raised with the owners of the disused Homebase site on Riverside Drive residents’ concerns about a gap in the security fencing round the site. The owners, H&H Properties, responded assuring me that a prompt repair would be carried out and this has indeed since taken place. H&H Properties also confirmed to me that it is intended to start work on-site in late April or early May, with the piling contractor being on-site during May and June. Although I was opposed to the original planning application as I feel more could be made of this site with stunning views across the River Tay, the fact that development is to move forward will at least ensure that an unsightly gap site will come into a useful future use as apartments close to the City Centre, cultural quarter, V&A at Dundee and the rail station. 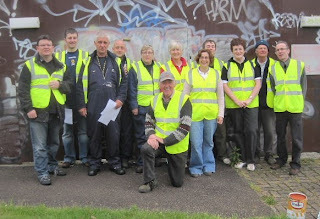 This morning, along with West End residents, city council representatives, fellow councillors, a local community police officer and with assistance through the Community Justice Authority, we undertook the first of two days of graffiti clean ups – starting at the former Homebase site on Riverside Drive and getting rid of the mess along Roseangle, including the Tay Rope Works site. As reported tonight in the Evening Telegraph, this morning I attended the graffiti clean-up by Scottish and Southern Energy of Electricity Sub Stations across the West End – the photo (below) is of me with some of the Scottish and Southern team at Milnbank Road. 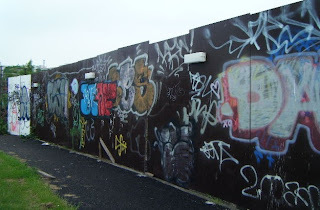 Tomorrow morning, the West End graffiti weekend graffiti clean-up by residents, councillors, community groups, and supported by the City Council, begins in earnest at the former Homebase site in Riverside Drive. Following concerns from residents that part of the boundary fencing round the former Homebase site in Riverside Drive had been removed by vandals, I contacted the owners regarding this. My thanks to H&H properties who have had this repaired. 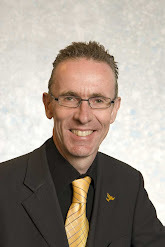 The “Evening Telegraph” printed my comments about the sale last night – see http://tinyurl.com/homebasesale. It appears from today’s “Courier” that the new owner intends to press ahead with the exisiting planning approval for over 200 flats. This is, in my view, a missed opportunity to consider a smaller scale development on a site with superb views across the River Tay. Nonetheless, it is good that the site has been sold, having sat as a target for vandalism for many months.